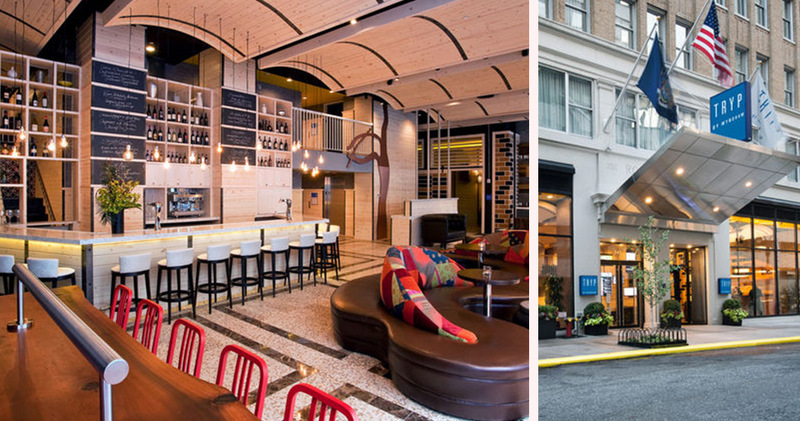 TRYP Hotel NYC is a stylish lifestyle hotel that combines a fun, social and urban environment with high-quality accommodation. 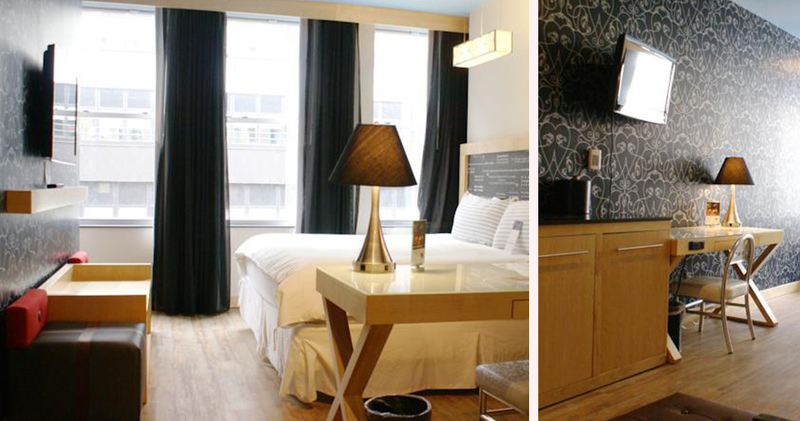 TRYP Hotel NYC is located in Times Square South, close to Lincoln Center and Madison Square Garden. 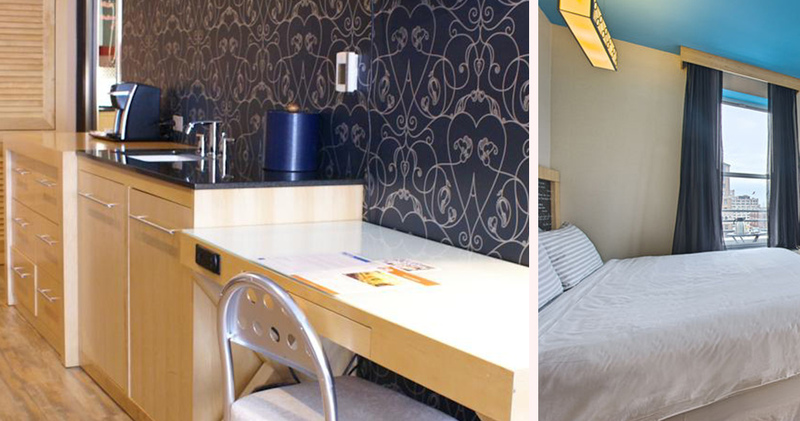 This urban boutique hotel has a whimsical decor of contemporary chic and Mediterranean vibrations. 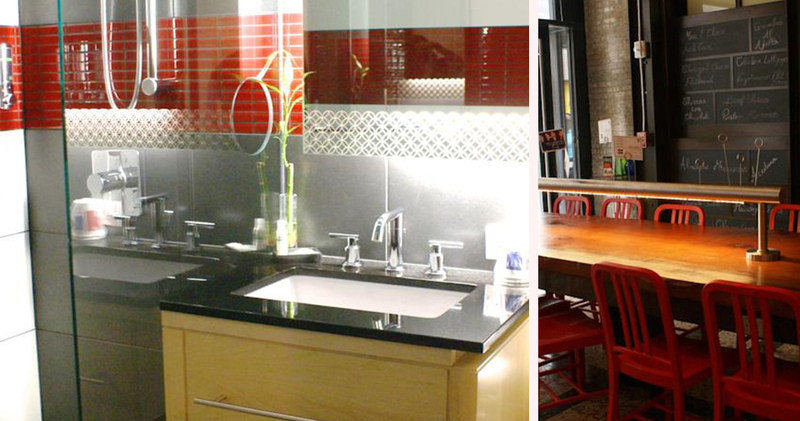 With a social and relaxed environment, the public spaces of this hotel are designed to encourage a community feel. The lobby of TRYP Times Square South is inviting, airy and bright. Featuring comfortable leather seating, a friendly bar and bright splashes of color, the lobby is a great place to socialize, unwind or enjoy a quick refreshment before heading out into the buzz of the city. 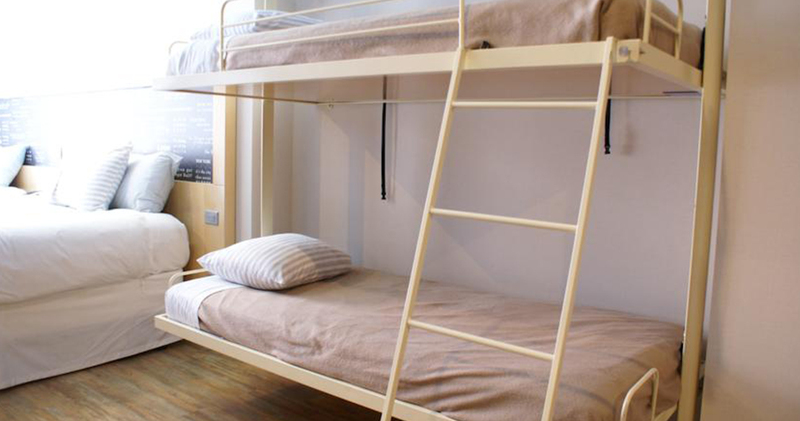 The accommodation at TRYP Times Square has a cool, minimalist style. 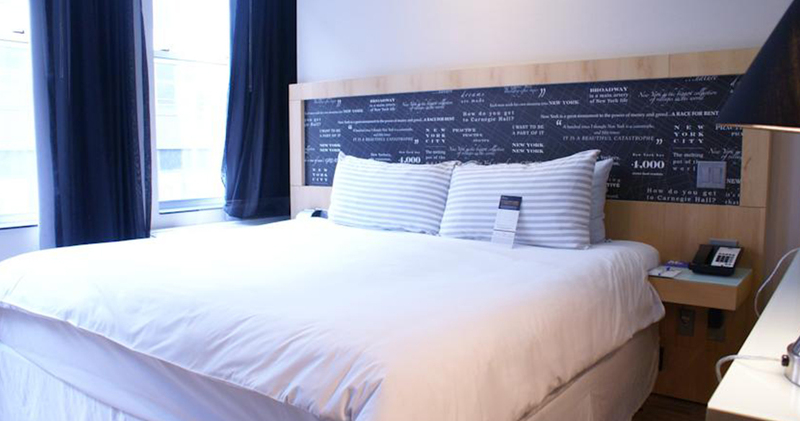 With reclaimed wooden floors, contemporary furniture and imaginative wall decor, the guestrooms mix New York chic with a touch of Mediterranean charm. 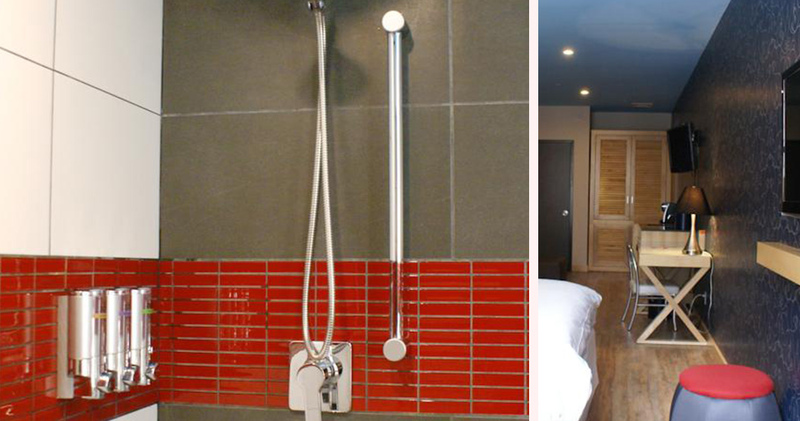 With 10 foot high ceilings, the guestrooms at TRYP Hotel NYC include premium amenities such as a Keurig coffee maker and 42 inch HD television, and the spacious bathrooms come complete with powerful rain showerheads. The exclusive Samsung guest room features a 60-inch 3D TV, 3D glasses, a Wii Gaming System and a surround system for a unique entertainment experience. 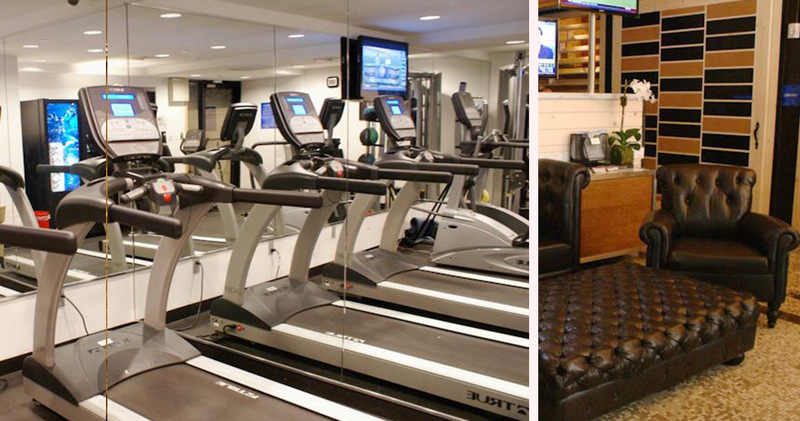 The hotel also has a fitness guestroom that includes exercise clothing and equipment. 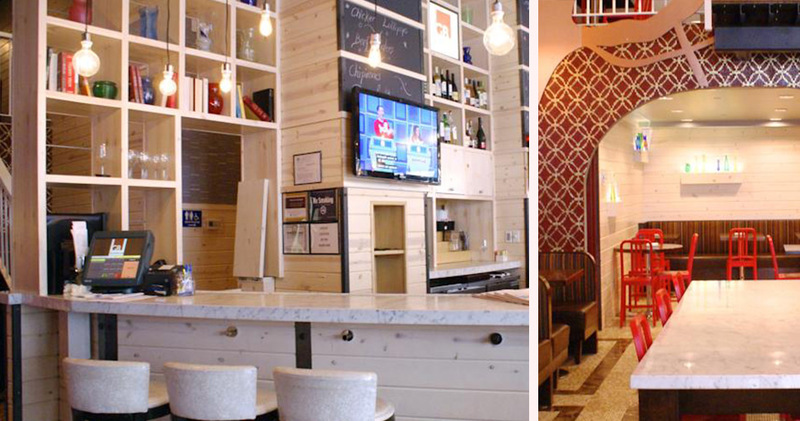 Located in the lobby of TRYP Hotel NYC, Gastro Bar 35 is an inviting, modern restaurant serving international tapas. The restaurant serves small plates with European flair and a signature breakfast buffet with healthy treats. The drinks menu features handcrafted cocktails and naturally produced and Spanish boutique wines.